Christmas has passed and 2016 is nearly at an end, which means its time to start looking forward to the cinematic gifts the year 2017 has yet to unwrap for us. 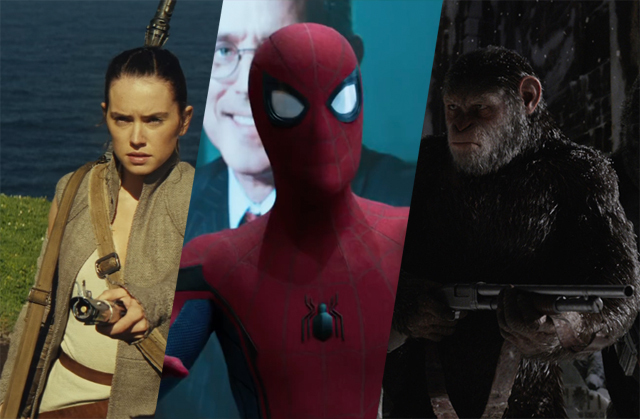 ComingSoon.net editors Silas Lesnick, Spencer Perry, Max Evry and Chris Alexander have chosen their most eagerly-anticipated 2017 movies to give you an idea of what’s ahead at your local multiplex in the coming year. Check out all four lists below and let us know what your most anticipated 2017 movies are in the comments! Not only was Dawn of the Planet of the Apes my favorite film of 2014, but PotA is one of my favorite franchises of all time. Returning director Matt Reeves has proven himself a master of both jaw-dropping spectacle and brainy allegory. With War, I’m fully expecting another sci-fi masterpiece. Is it cheating to have three films take up one slot? Probably, but if I could watch any one of these three right now, I’d have a hard time choosing. Each looks incredibly fun on its own and the Marvel Cinematic Universe just seems to get better and better. 2017 is the first year we’re getting three films and I have every reason to believe they’re going to be three of the best to date. A real-time heist actioner musical set to the mix tape of the titular getaway driver written and directed by Edgar Wright. If that doesn’t have you marking August 11 on your calendar, you and I have a very different relationship to movies. I was raised on Star Wars and camped out for each of the prequels. While it’s sometimes easy to get cynical about the franchise’s mega popularity, all that goes away and audiences the world over become wide-eyed kids once again. Plus, Rian Johnson is writing and directing, so the Force should be particularly strong with this one. It’s hard to imagine a Blade Runner sequel working, but director Denis Villeneuve (Prisoners, Arrival) has proven himself one of the top talents working today and someone who doesn’t shy away from brainy sci-fi concepts. Add to that the Roger Deakins cinematography we’ve seen in the teaser and you’ve got the potential for something really special. Hugh Jackman’s big screen run as Wolverine will be long remembered and if this is really the end of the line, I’m glad he’s going out with style. The Wolverine’s James Mangold returns to direct what looks to be an R-rated Unforgiven meets Lone Wolf and Cub set in an all-bets-are-off X-Men movie universe future. What’s not to love? Alexander Payne (Sideways, Election) offers up his own sci-fi tale with the satirical story of a future where people can have themselves permanently shrunken to live in special communities. The story follows Matt Damon as a man who undergoes the procedure only to have his wife back out at the last minute. Although we haven’t seen much from Downsizing yet, that kind of original sci-fi concept coming from such a talented filmmaker has my interest decidedly piqued. I’m a big fan of Gore Verbinski (Rango, The Lone Ranger) even when the general public doesn’t seem to be. Judging from the genuinely-creepy trailers, however, Wellness offers a sense of horror that we haven’t seen from him since The Ring. We may never get Verbinski’s long-defunct BioShock movie, but A Cure for Wellness might very well be the next best thing. This one wasn’t on my radar at all until last year’s Comic-Con, when Luc Besson showed off some truly breathtaking VFX sequences. Based on the European comic series, Valerian is a huge passion project for Besson and he clearly aims to do the characters justice and, if nothing else, promises a big, weird, fully-realized sci-fi world. A project that has been promised for years and years is finally making its way to the big screen as George Clooney directs an original screenplay by Joel and Ethan Coen. We might not get a Coen-directed movie in 2017, but a dark comedy set in the 1950s with a cast that includes Matt Damon, Julianne Moore, Josh Brolin and Oscar Isaac sounds like a more than suitable stand-in. KONG: SKULL ISLAND – I wouldn’t think we needed another King Kong film, but the trailer for Skull Island looks really great. THE MUMMY – Universal’s Monsterverse sounds like it will be a lot of fun and the current Mummy teaser looks like it’s very much headed in the right direction. ALIEN: COVENANT – The only reason this isn’t on my main list is because Prometheus let me down hard. I’m cautiously optimistic for Covenant though, and the trailer is definitely winning me over. WONDER WOMAN and JUSTICE LEAGUE – I’ve been a big DC Comics fan all my life, so it’s really weird neither of these made the list. I will be so, so happy if both are great (and they certainly seem like they *should* be), but after getting such lackluster takes on Batman v Superman and Suicide Squad in 2016, I don’t want to build myself up for more disappointment. 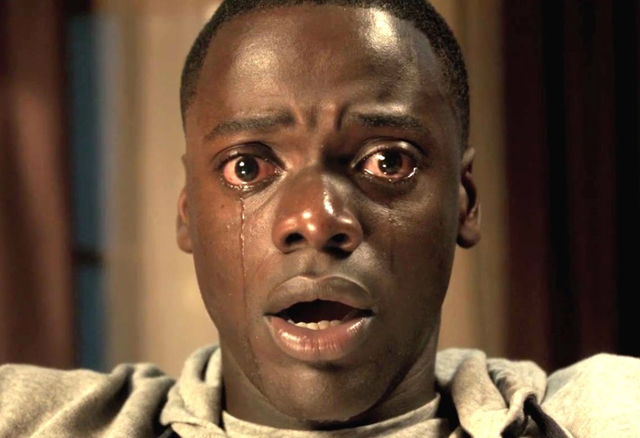 A horror film from the mind of comedian Jordan Peele sounds too good to pass up on its own, but with a central thesis on race in the lily-white suburbs, it sounds both prescient and timely. James Mangold returns to his western roots from 3:10 to Yuma for the “final Wolverine movie” and it looks like the most visually-interesting world for the entire X-Men series. Plus, old grungy Wolverine is the best aesthetic for the character. I love the old Universal monster movies, so I have a lot of interest in a modern cinematic universe that actually cares about continuity between the films, even if it is at the expense of making them globetrotting-action movies. Though only on their third movie in six years, Planet of the Apes remains the most interesting, fresh, and consistently great film franchise out there. 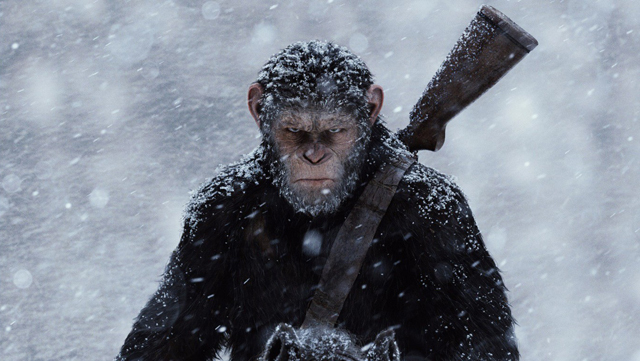 War not only ramps up on what we love about the movies (apes) but seems to be bringing the dark battles from the second film up a notch. Stephen King’s magnum opus has had a long journey to the big screen, and whether this cycle will be the story we constant readers have been hoping for remains to be seen, but Elba and McConaughey already fit the part of Roland and the Man in Black. 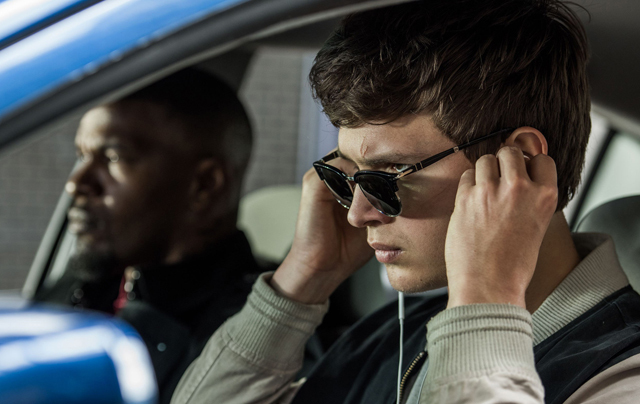 The next film from director Edgar Wright will be very special, not only because of its cast and subject matter but also its unique musical style. It’s also Wright’s only film that he wrote completely on his own. 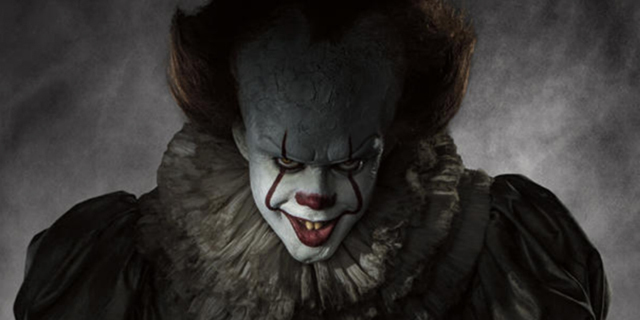 A remake of IT has been a long time coming and since the kid section of the story is the most interesting part, I’m eager to see how the new feature plays out. It’s still a crapshoot on whether this movie will make its release date, but when the Saw franchise was in full swing, they could churn them out in just a few months, so I remain hopeful about a return to the game. I think the best Star Wars movies come from directors that are capable of making great sci-fi outside of the galaxy far, far away, and Rian Johnson proved he could handle his own world with Looper, so I’m happy to see him on Star Wars. What makes the new Jumanji movie interesting is in just how different it appears. Even if it’s not a full on reboot but a kind-of sequel, the more different it can be from the original, the more interested I am. Over the course of four films (The Cornetto Trilogy, Scott Pilgrim vs The World) and a TV show (“Spaced”), director Edgar Wright has never steered us wrong, and the idea of him doing a gangster musical comedy sounds like film-nerd heaven. Rian Johnson’s Looper showed his brilliance at worldbuilding within the noir trappings of his previous work, and I expect his take on George Lucas’s beloved space saga will yield much giddy excitement. I loved rising young filmmaker David Robert Mitchell’s takes on the horror genre (It Follows) and the coming-of-age movie with The Myth of the American Sleepover. Now he’s taking on the world of neo-noir with a contemporary Los Angeles crime movie with some big stars (Andrew Garfield, Riley Keough) in tow. Graphic novel adaptations aren’t always superhero movies, and two of the best in recent years IMHO were adapted by Daniel Clowes from his own brilliant comics (Ghost World, Art School Confidential). In Wilson, Clowes creates what may be his most misanthropic and hilarious protagonist yet in Woody Harrelson’s neurotic middle-aged grump meeting his teenage daughter for the first time. I got to tour the set of Ridley Scott’s latest journey into Xenomorph territory over the summer, and let’s just say I’m very excited. The God of Thunder is one of my favorite titles in the Marvel Universe, but his film exploits have ranged from above par (Thor) to underutilized (the Avengers flicks) to the downright middling (Thor: The Dark World). Fortunately, I think filmmaker Taika Waititi has the perfect idiosyncratic sensibility to finally bring Jack Kirby’s take on the Norse legends to the screen with gusto. Add “Planet Hulk” to the mix and we could be in for a very fun ride. Euro comics are an untapped gold mine of unique worlds to be brought to the screen, and based on the stunning trailer, Luc Besson is going all-out on this one. Guillermo del Toro. 1960s Cold War setting. A gill man. What more do you want??? I loved Hugo, both Martin Scorsese’s film and the original YA novel by Brian Selznick. Now genius auteur Todd Haynes (Carol, I’m Not There, Velvet Goldmine) is taking on another one of Selznick’s books, with the author himself providing the screenplay. So much of modern comedy stems from the melting pot of young upstarts that created the National Lampoon magazine back in the ’70s, and now comedian/filmmaker David Wain is telling the central story of that era through the eyes of tragic Doug Kenney (Will Forte). The book this film is based on is rich with great stories, and the cast (Emmy Rossum, Domhnall Gleeson, Natasha Lyonne, Joel McHale, Thomas Lennon, Seth Green) is outstanding. I like Tommy Lee Wallace’s original IT miniseries. Well, I like half of it. That hopeless second half doesn’t get any better. Stephen King’s titanic tome needs a proper adaptation and I have hope that this IT is…it! Don’t laugh. Okay, fine. Laugh. I don’t care. I live to watch trash movies and I saw the first one by myself in a room of women out on their wine and tapas girl’s night and I howled the entire time and got lots of dirty looks. Grand fun was had. I’m hoping this follow-up delivers even more ludicrous horny nonsense than the first. And full disclosure: I have a bit of a crush on Dakota Johnson. Ummm… just bring it on already. I am one of those guys that love Prometheus. And I love the first two Alien movies beyond reason. And I just love H.R. Giger’s iconic monster full stop and I am dying to see it do terrible things on screen once more. To me, the last great Kong movie was the lurid 1976 remake, but I’m still excited to see this one because I have three little boys now and I can take them to a freaking King Kong movie in 3D. No matter what happens, I know I’ll have a blast watching them watch the movie. Nothing can ever match the passion I have for the original Apes films nor its lead simian, the late great Roddy McDowall. The new Apes flicks are technically superior in every way and I love them almost as much. Dawn of the Planet of the Apes blew my mind and this one looks even darker and more grandiose. Excited. Universal tries again to revive interest in its beloved monster titles and once more completely misses the point. The first wave of monster classics from the Golden age were fresh and bore the mark of the expressionist influence. These contemporary reboots — from Van Helsing to those Indiana Jones-flavoured Mummy movies to Dracula Untold — are just slick, muscular FX showcases. That said, as far as slick action FX blockbusters go, this new stab at The Mummy looks like a blast. We’re Tom Cruise fans and some of the visuals look rather delicious. And best of all it looks like it takes its subject matter seriously.